Windows 10 comes with many advanced features and considered to be one of the finest Windows operating systems in this era. But sometimes while you upgrade your system from other versions of Windows to Windows 10, then you may lose essential files from it. 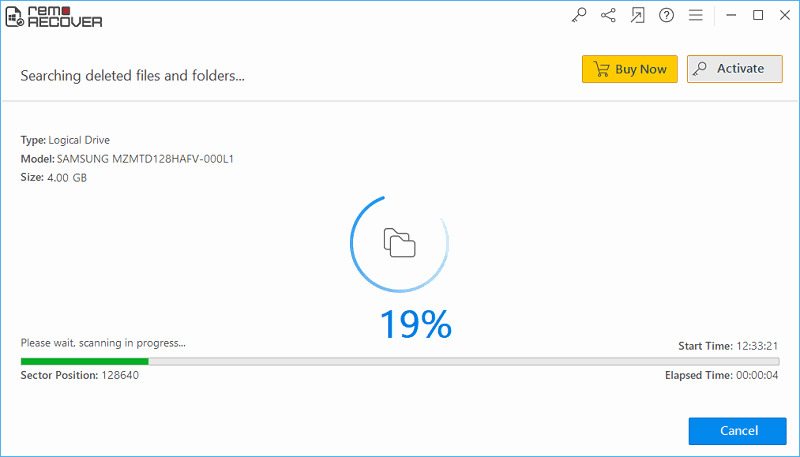 How Files get Lost While Windows 10 Upgrade? If your system is not compatible with the new Windows upgrade then you will get an error message if you install Windows 10 which leads to loss of files from the system. If your Windows 10 up-gradation takes more time, then in such case most of the users cancel the installation before completing which results in loss of huge files. If you select complete format option while you are performing Windows 10 up-gradation without taking a proper backup then it deletes all the files. Always keep backup of essential files before upgrading your OS to Windows 10. Don’t save any new data to the hard disk after a data loss situation. Check for the hardware requirements before you upgrade your OS to Windows 10. Read complete instructions to how to run the setup file prior to Windows 10 upgrade. This software is capable of recovering files after Windows 10 upgrade in any data loss scenarios and recovers files without altering or modifying the original files. It recovers files from the formatted hard drive which supports FAT, NTFS, NTFS 5, and exFAT. It even recovers deleted or lost emails from Outlook Express, Microsoft Outlook which gets damaged or corrupted due to any reasons. Download and install the Windows Recovery Software to know how to perform Windows 10 upgrade files recovery with ease. It restored deleted files from various storage devices such as memory card, USB drive, FireWire drive, flash drive, pen drive, memory stick, etc. You can preview the recovered files using “Preview” option before restoring it to the particular location. It supports the recovery of files on all major versions of Windows OS such as Windows 8, Windows 8.1, Windows 7, Window XP, Windows Vista, etc. Step 1: Download and install the Windows Recovery Software on your system. Run the utility and on the main window, you will find three option. Select “Recover Drives” option. 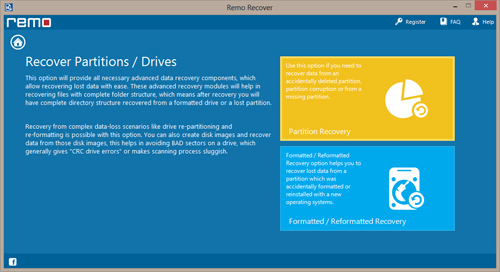 Step 2: Now on another window, you will get two options “Formatted/Reformatted Recovery” and “Partition Recovery”. 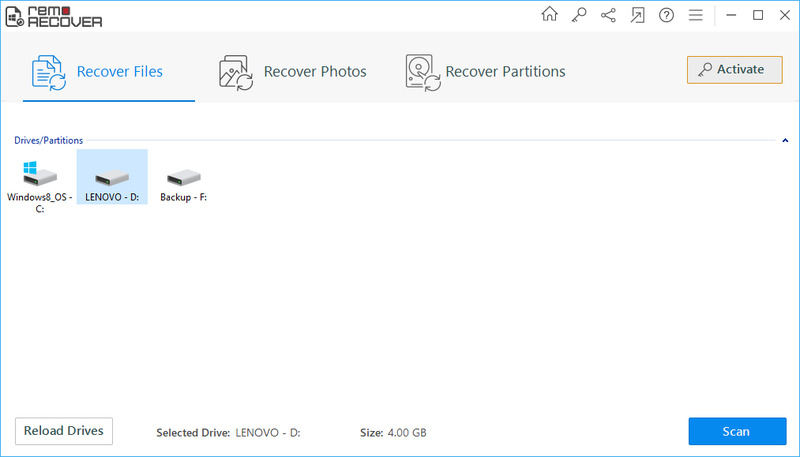 Select the “Partition Recovery” to recover the files from Windows OS hard drive. Step 3: Select the drive from where you have lost files. 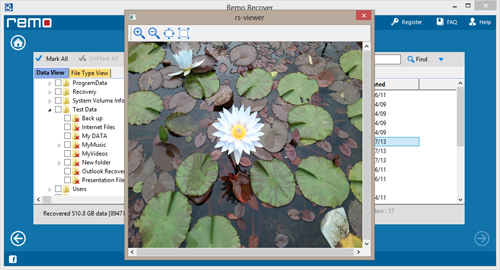 Step 4: Once the scanning process is over, you can preview the recovered files using "Preview" option before restoration.